Easy chickpea curry recipe with coconut milk - under 30 minutes! Home » Easy chickpea curry recipe with coconut milk – under 30 minutes! 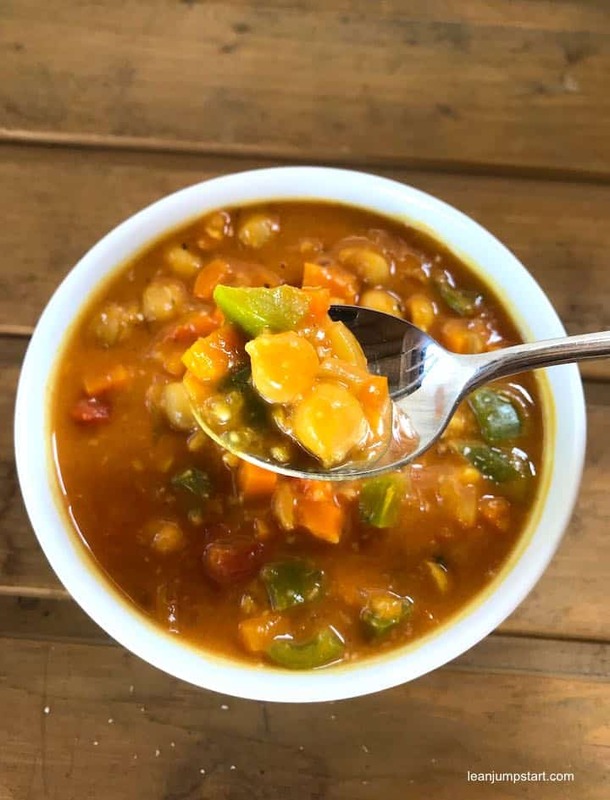 Easy chickpea curry recipe with coconut milk – under 30 minutes! For this flexible and easy chickpea curry recipe you just need a saucepan and 30 minutes. We eat this clean eating dish on a regular basis and each time it comes out a bit different dependent on the veggies in my pantry. Sometimes tomatoes are dominating turning it into a red curry sauce. 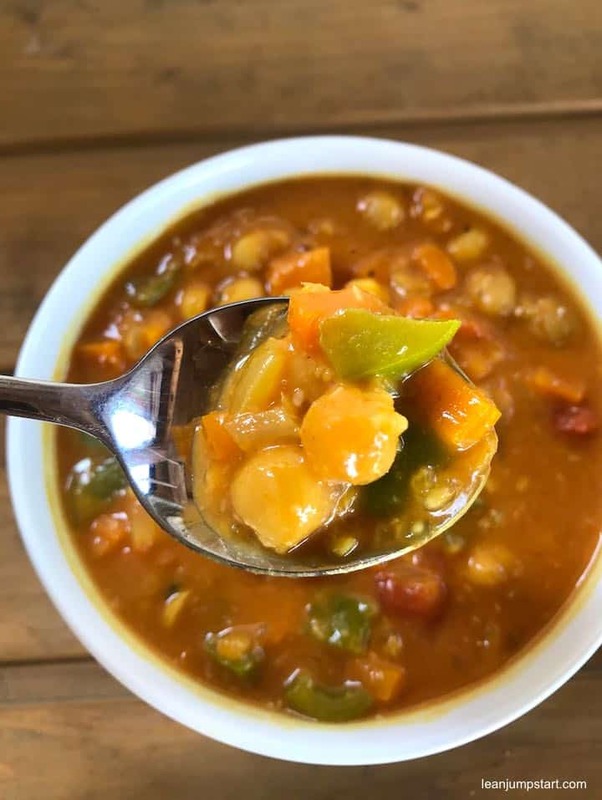 On other times bell peppers and carrots play the main role resulting in a vegetable and chickpea curry with a tendency to an orange brown color. Whatever combination you prefer, it is the perfect comfort food or lazy dinner idea, especially if you have convenient chickpea cans in your pantry. Do you also want to know how these powerful legumes can help you with weight management? If yes, then make sure to read till the end of this blog post! I hear you asking, but Gabi, are canned chickpeas really clean?! Ok…here is my take on it. Don’t fall into the dogmatic “clean eating trap”! There are many different styles of eating right. With my interpretation of clean eating I’m not following a strict rule or a dogma. When you follow a healthy eating theory or dogma rigidly, you’re not aiming to satisfy yourself. Although the clean eating philosophy is based on unprocessed, wholesome foods, my 80/20 approach to eating clean allows me to take advantage of some nutrient-rich convenience foods. BPA-free canned beans, tomatoes or chickpeas – these items are all worth building into your grocery list. When you use some essential convenience foods in moderation, they add taste appeal and offer cooking shortcuts. If you have the time feel free to cook chickpeas from scratch. But most of my readers are busy women over 40 with little time. They prefer quick and easy clean eating meals. A 100% clean chickpea curry would take them over an hour, not counted legume’s soaking time (over 8 hours!) the night before…A 80/20 approach to eating clean prevents busy people from throwing the towel and order a stress free big pizza for dinner instead. Complicated and time consuming clean eating recipes are one reason why some people can’t stick to healthy cooking habits, crashing their best weight management intentions. Part of my mission on leanjumpstart is to simplify clean eating – that’s why there will always be some room for convenience foods in my recipes too. How to make curry spicy? Ok, back to the simple chickpea coconut curry recipe. While this one pan dish is quite flexible when it comes to the vegetables I recommend to stick to the suggested spices like garlic, ginger, ground turmeric, cumin and cayenne pepper. In my opinion it is the perfect combination for an incredibly flavorful and subtly spicy meal. If you need more heat you can always add some more Cayenne pepper. 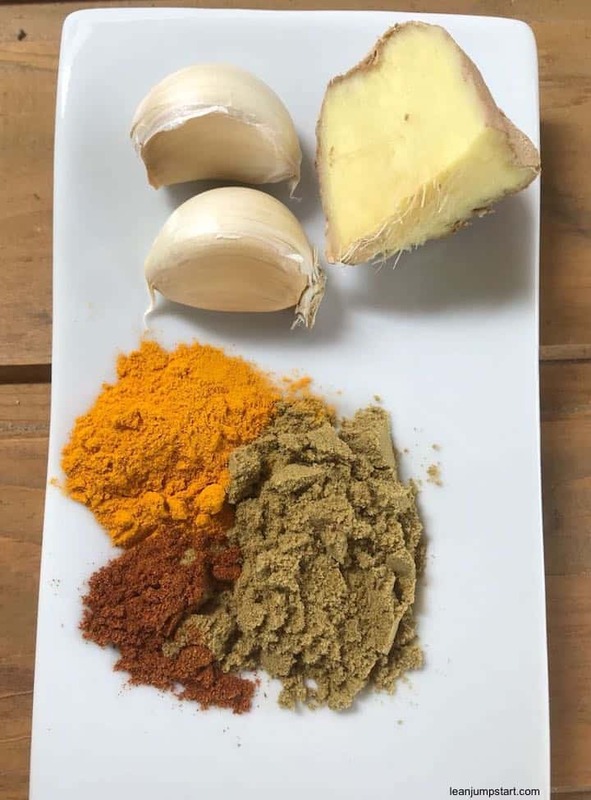 To vary this great recipe you could replace all five spices with four teaspoons of garam masala. It will give the meal a typical Indian touch. Did you know that chickpeas get even more flavorful if you cook them up again in the sauce? I hope you guys love this vegan chickpea curry! It’s creamy, savory-sweet, vegetable-packed, super satisfying, subtly spiced, delicious – and did I mention that it’s quick and simple too? Add cumin and toast for about a minute, until fragrant and lightly darkened in color (be careful not to burn them). Stir in the onion, season with a pinch of salt, and cook for 3 minutes. Add the garlic, ginger, turmeric and Cayenne pepper. Stir to combine and sauté for a couple of minutes, until the garlic softens. Add the green pepper, carrots, chickpeas, tomatoes with their juices, coconut milk and vegetable broth. Stir to combine, cover, and let it come to a boil. Season with the salt, pepper and lime juice to taste. Jasmine rice goes very well with curried chickpeas. To maximize nutrients and fiber I prefer to serve it on a bed of cooked whole grains, e.g. brown rice or bulgur. You can store the cooled curry in an airtight container in the freezer for up to 1 month or in the fridge for up to 4 days. 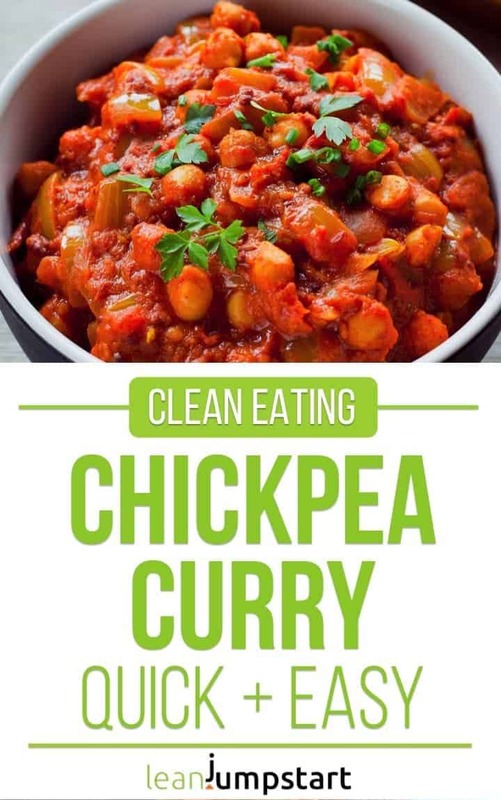 More good news…These curried chickpeas are not only super yummy but also very healthy. The small “power balls” are members of the legume family which are rich in proteins and fibers. If you eat high fiber meals you feel more satisfied after your meal, which helps manage your weight in the long run. On top of that these legumes contain iron and calcium. By the way, iron deficiency is the most common dietary deficiency in the world. 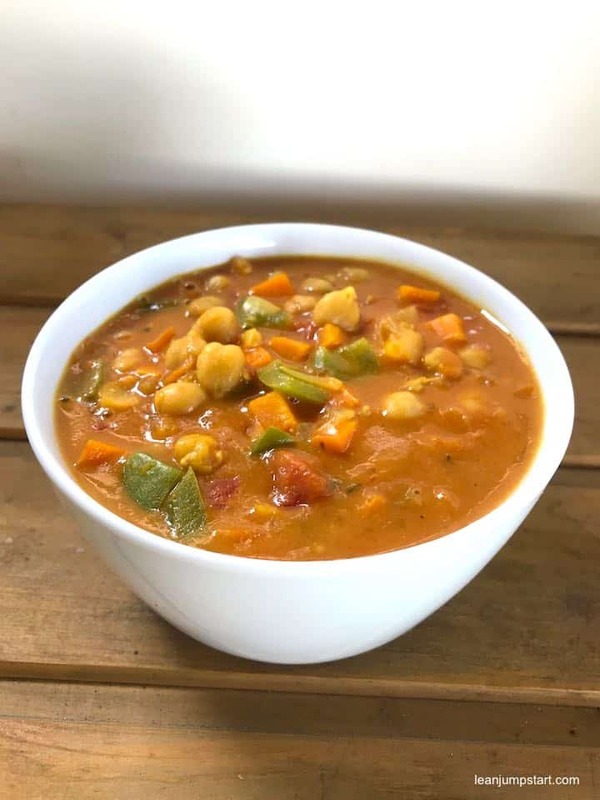 So, if you think you might have an iron deficiency, incorporating an easy chickpea tomato curry in your meal plan from time to time might be a great idea. If you love the clean eating philosophy but prefer an undogmatic approach to healthy eating including cooking shortcuts then make sure to check out my 52 Chef Habits course. 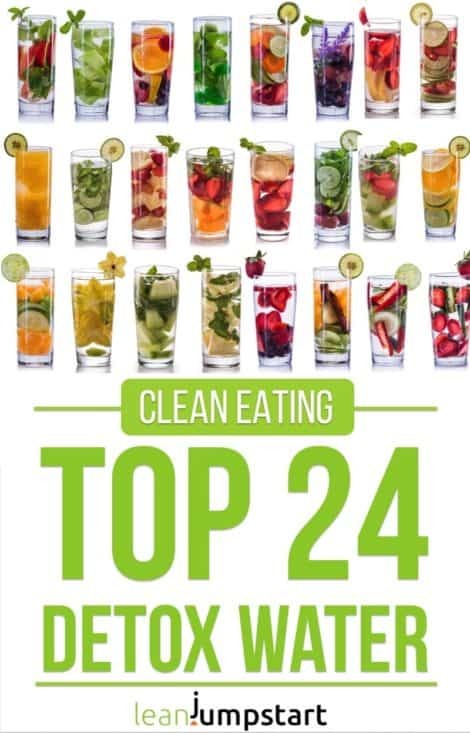 This Ecourse is especially for you if you are busy and want to lose weight with a simplified approach to clean eating. I just love quick and easy recipes like this! It looks delicious! So we are sharing the same (late) love Sherri. I wonder, where have those yummy chickpeas been all my childhood? Love everything chickpeas. This recipe sounds so comforting. Curry is such a versatile meal esp for busy weeknights. Thank you for sharing such a yummy creation. I love how easy this is!! Making it ASAP! That’s what I love about this curry too, Mindy:) Yes, you should make it ASAP, you won’t regret it! I love a good chickpea curry! and this one looks perfectly delicious… not too much tomato!